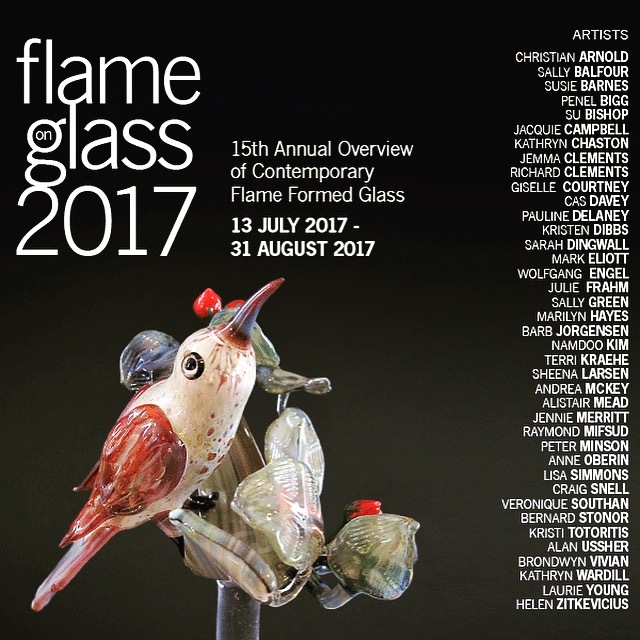 It’s always an honour to be part of the annual Flame On exhibition at Kirra Galleries in Melbourne. I am excited that this year I’ll get to see all of the work, as it is starting soon, and we are heading to Melbourne in the school holidays. 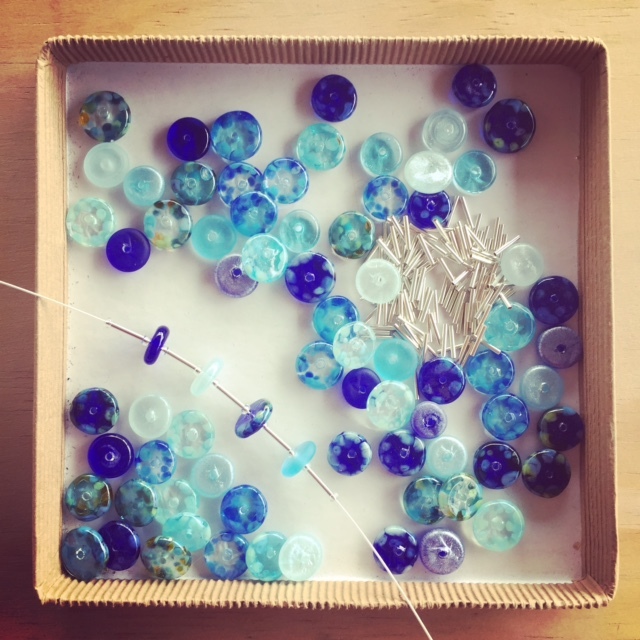 I have been making so many beads lately, I have lots of projects happening! 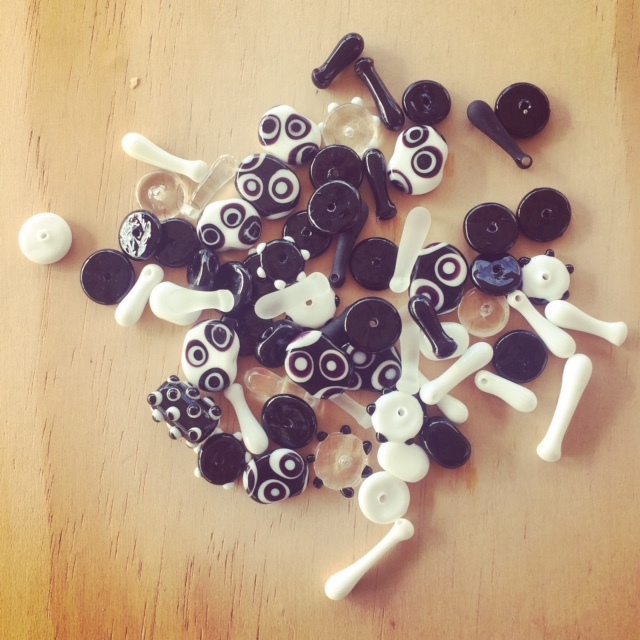 I really need to find time to make some jewellery soon. 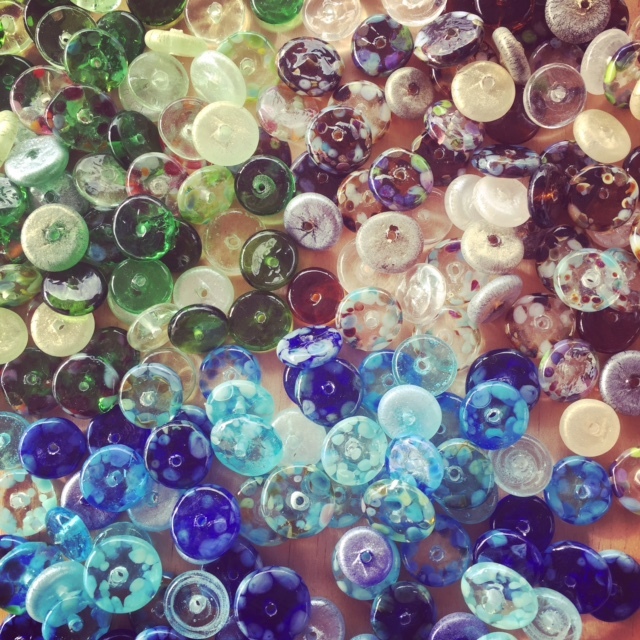 These beads will be used for the Colour Play jewellery that I am making TODAY! I should have the work photographed and listed soon. Stay tuned! 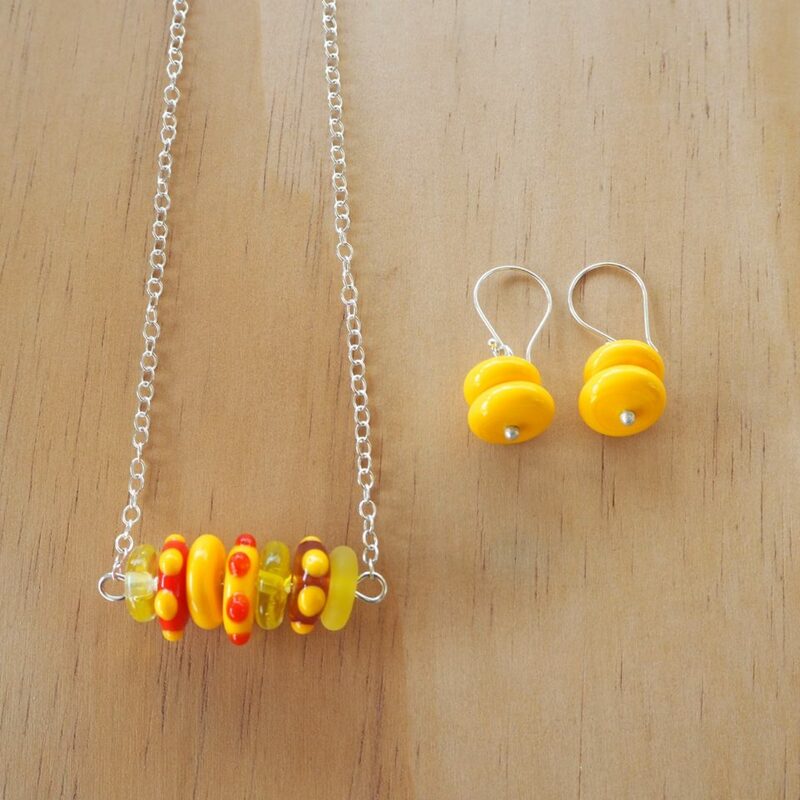 I am still working on the jewellery for Flame On. I am liking this design, and hoping it will all work out beautifully by the time I am finished! I’m just letting you know about a market happening in July! 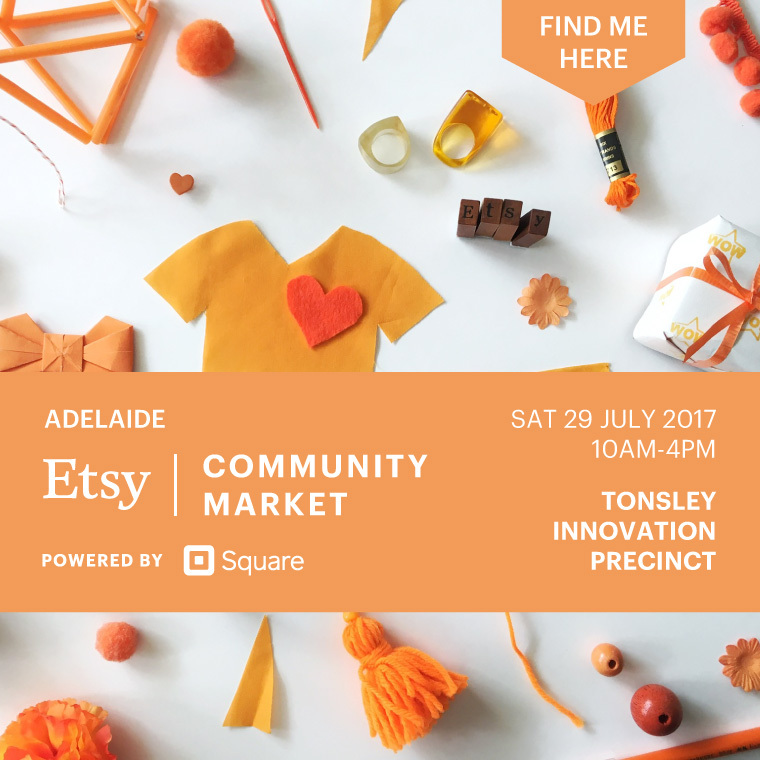 It’s another Etsy market, and it is going to be amazing! Hope to see you there. This is the link to the Facebook event. I’ve been having fun with lots of colours this week! 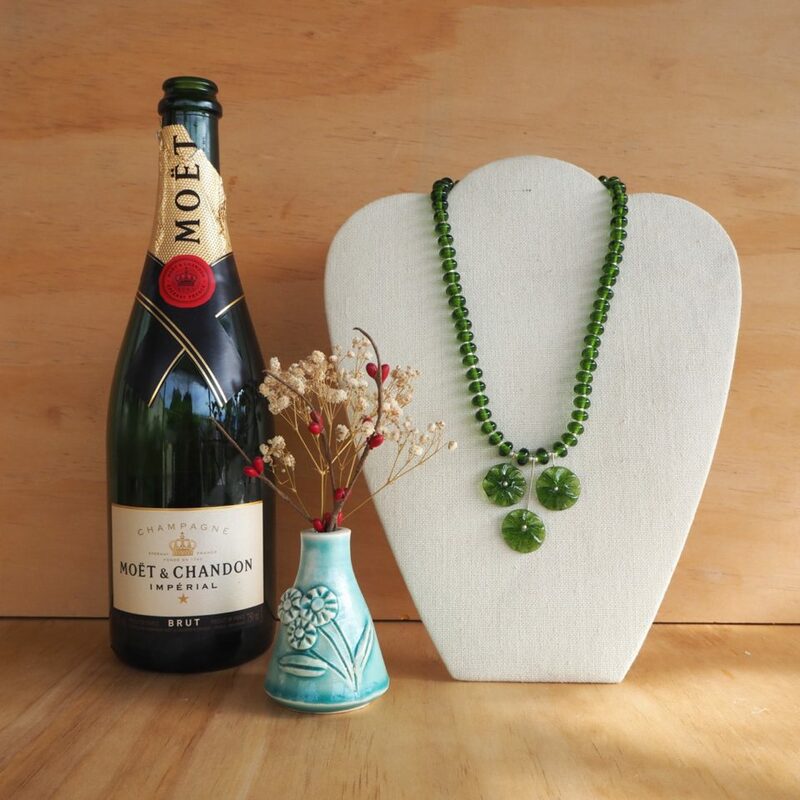 I have a range of Moet Champagne bottle jewellery available on my website and in my Etsy store now. 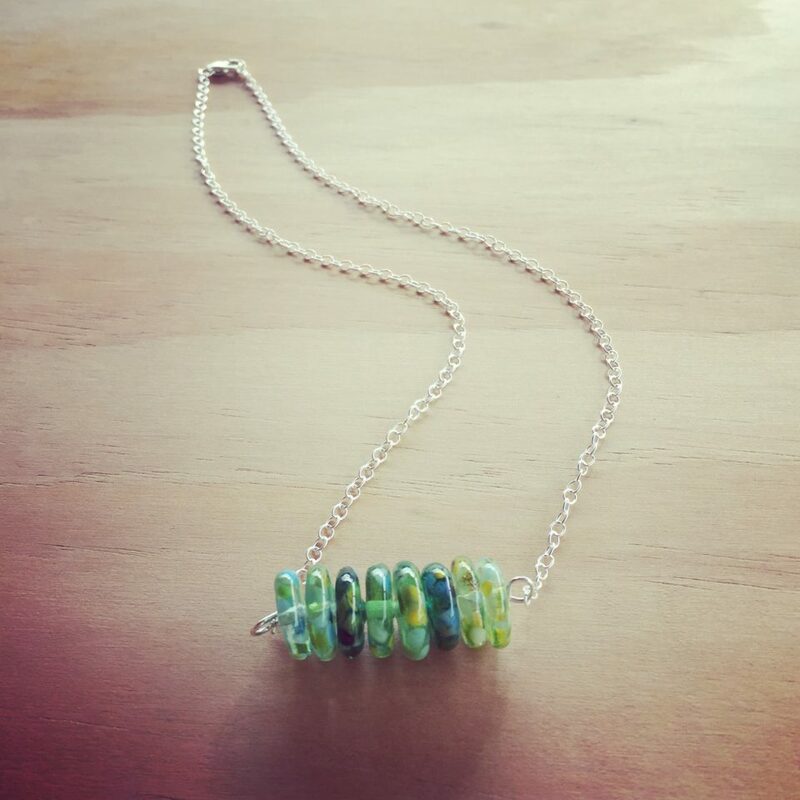 This glass is such a lovely olive colour, and beautiful to work with. And, it has a really great story! 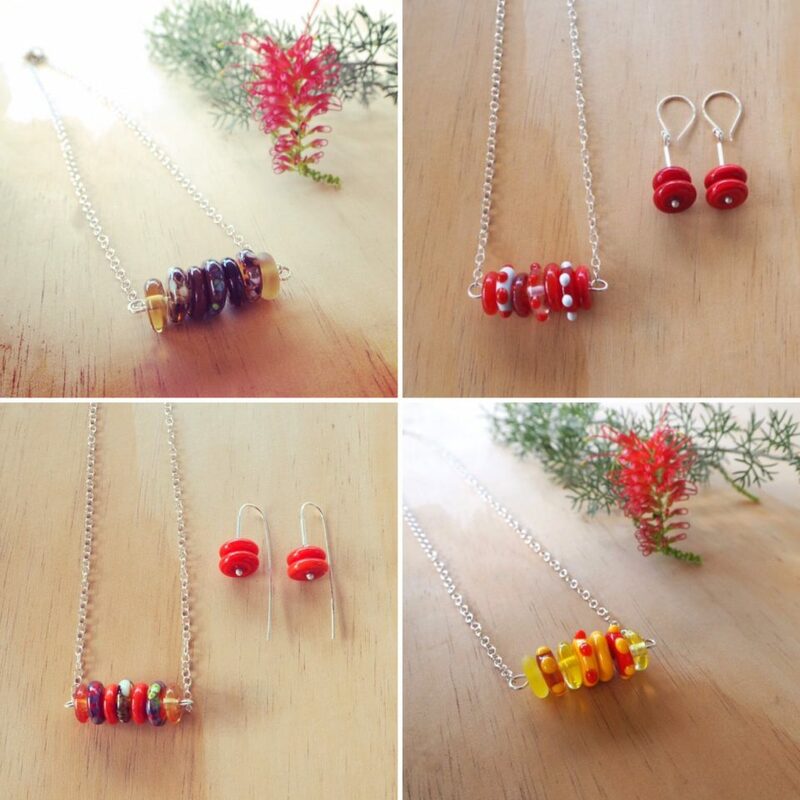 An item destined for the bin, recycled into beautiful jewellery. What’s not to love? 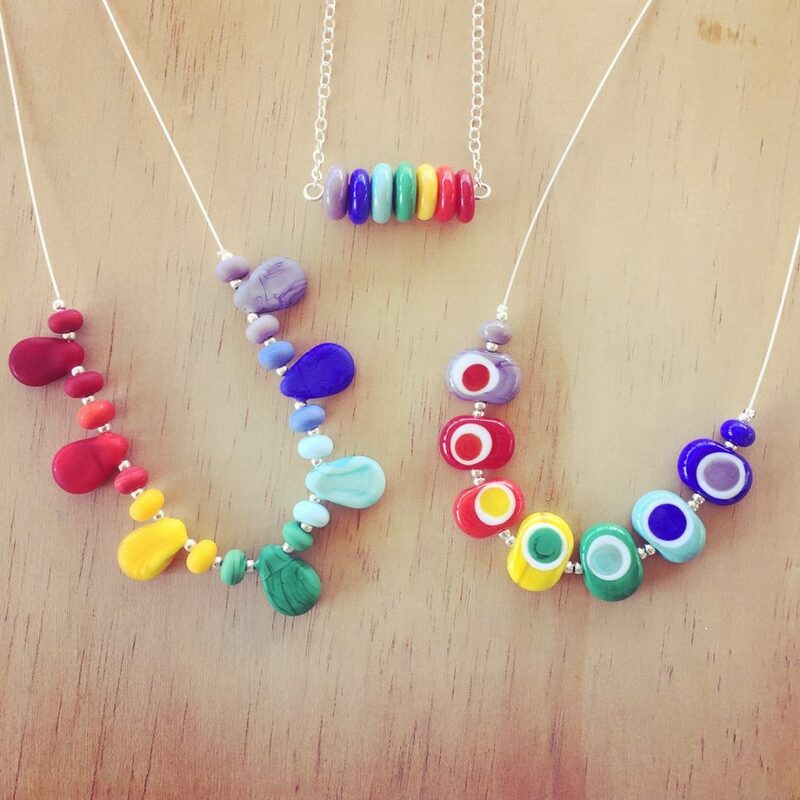 There always seems to be something to try with these necklaces. Today, some fresh green beads!